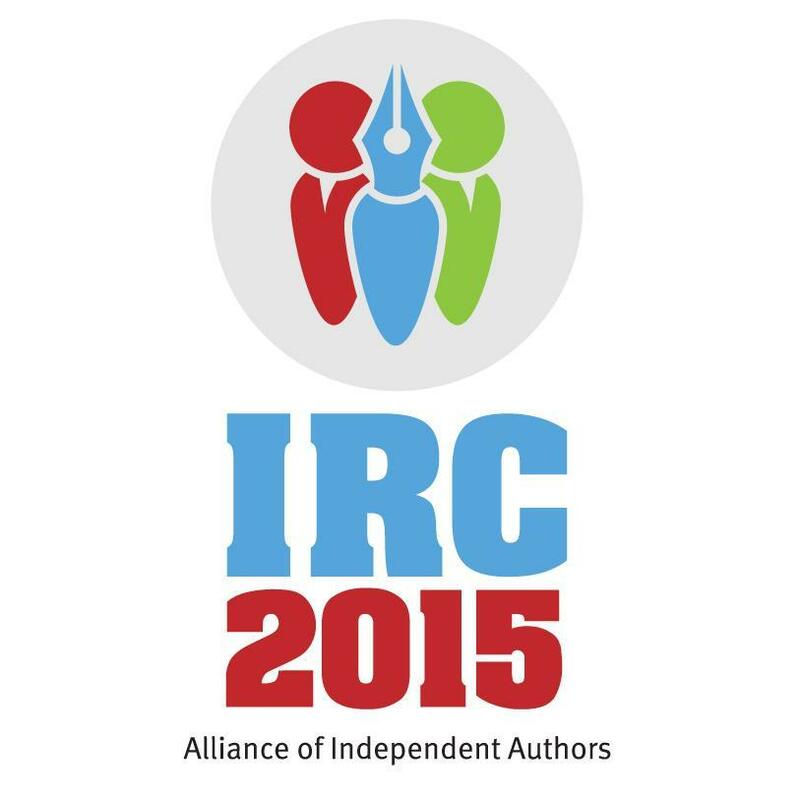 IndieReCon 2015: Information and Press Release – Finish That Novel! March 16th, 2015 – This year’s IndieReCon, a free online conference to promote quality and craft in indie publishing, will be presented by Alliance of Independent Authors (ALLi). IndieReCon will feature an unprecedented number of the world’s most famous and best-selling independent authors and publishing professionals. IndieReCon’s history of serving the indie author community combined with ALLi’s commitment to excellence and inclusiveness has set the stage for one of the most significant online gathering of authors ever. Without breaking banks or having to abandon the kids, authors can enjoy IndieReCon online and FREE to any attendee who registers. The online conference is scheduled for April 15-16th 2015 with online seminars, workshops, discussions and masterclasses culminating in a reader-centered Indie Author Fringe Fest live from The London Book Fair’s Book and Screen Week, on Friday 17th April. IndieReCon started in 2013 with co-founders Ali Cross and SR Johannes wanting to change the stigma of self publishing in the industry. “Self publishing is hard! And many people don’t know how to get started. A couple years ago, Ali and I decided to help the indie community learn more about how to create outstanding, high quality books,” says S.R. Johannes, author of the award-winning and bestselling YA thriller “Nature of Grace” series. “To be honest, we never expected IndieReCon to get this big and we are thrilled that Alliance of Independent Authors (ALLI) have joined forces to help grow the conference ever more!” says Ali Cross, founder of Novel Ninjutsu and author of angsty young adult fantasies and middle grade adventures. Over the last few years, indie publishing has grown exponentially. But not without its challenges. Whether it is the underlying stigma of independently publishing or the constant question of quality, indie publishing is still the road less traveled. “The indie author movement is the most important development in publishing today and IndieRecon and ALLi are right at its heart, providing the support and information authors need to decide what’s best for them — and do it, ” says ALLi Director and Founder Orna Ross. Ali Cross – co-founder of IndieReCon. Ali also writes YA and Middle Grade Fiction and is the founder of Novel Ninjutsu, a popular book packaging and branding company. R. Johannes –co-founder of IndieReCon. S.R. Johannes is the author of Amazon bestselling Nature of Grace series (a teen wilderness thriller, Untraceable and Uncontrollable) and a tween paranormal, On The Bright Side. Porter Anderson, journalist who specializes in covering digital publishing as The Bookseller’s Associate Editor managing The FutureBook in London and as Featured Writer with New York City’s ThoughtCatalog.com. Bella Andre, New York Times, USA Today and Publishers Weekly bestselling author of “The Sullivans” and “The Morrisons” series. David Farland, award-winning, New York Times bestselling author who has penned nearly fifty science fiction and fantasy novels for both adults and children. Joel Friedlander, award-winning book designer, a blogger, and the author of A Self-Publisher’s Companion: Expert Advice for Authors Who Want to Publish. Jane Friedman, specializes in educating writers about the publishing industry (without drama or hype) to help them make the best long-term decisions for their careers. Sharmaine Lovegrove of Dialogue Books. Yen Ooi has been writing stories since 2008, producing speculative, science fiction and fantasy in various guises. Joanna Penn, New York Times and USA Today bestselling author, voted as one of The Guardian UK Top 100 creative professionals 2013. Orna Ross, bestselling author of novels, poems and the Go Creative! books and Director of The Alliance of Independent Authors, “one of the 100 most influential people in publishing” (The Bookseller). H.M. Ward, a NY Times bestseller 11 times in 2013 alone; she has sold more than 4 million copies of her books and reports being offered more than $1.5 million in advances by publishers. Register your interest at indierecon.org. IndieReCon is a FREE online conference to promote quality and craft in indie publishing. It started in 2013 with co-founders Ali Cross and SR Johannes wanting to change the stigma of self publishing in the industry. IndieReCon’s goal has always been to “make indie publishing a mission possible” for any writer who wants to embark on the journey. The conference will cover the indie publishing process from A to Z – the pros and cons, the formatting process, the distribution opportunities, and the complexity of online marketing through a multi-media platform. In 2013, IndieReCon debuted with over 10,000 attendees which increased to over 25,000 in 2014. The Alliance of Independent Authors (ALLi) is global, professional association for authors who self-publish. ALLi foster ethics and excellence in self-publishing — and run many campaigns and collaborations that benefit our members. Our core principles are excellence and inclusiveness. People self-publish for many reasons and all who want to do it well are invited to join our diverse, supportive and friendly community. Join Here. I printed out my schedule recently, and I’m really excited for it as I look down the list. There will be programs represented and demoed that I haven’t even heard of, and services that I hadn’t even known existed (there’s something about creating book soundtracks that is especially intriguing to me, as well as a children’s book software that I’m very curious about). Signing up for IndieReCon is easy and can be completed in about a minute at http://indierecon.org/register/. I heavily encourage you to do so, and look forward to discussing it afterwards. See you there!